The Famous Views of the Sixty-odd Provinces is a famous landscape print series by the Japanese artist Utagawa Hiroshige (1797–1858). 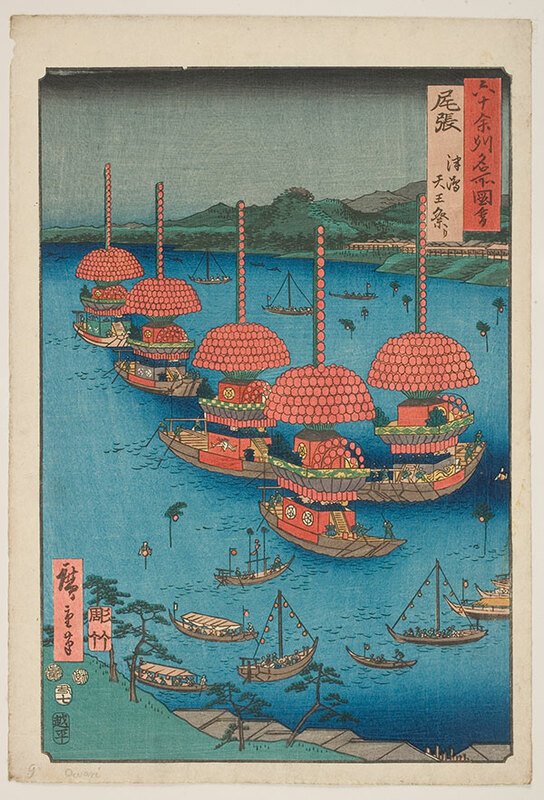 Created between 1853 and 1856, the series consists of a print of a famous view from each of the sixty-eight provinces of Japan, plus a print of Edo (present-day Tokyo). 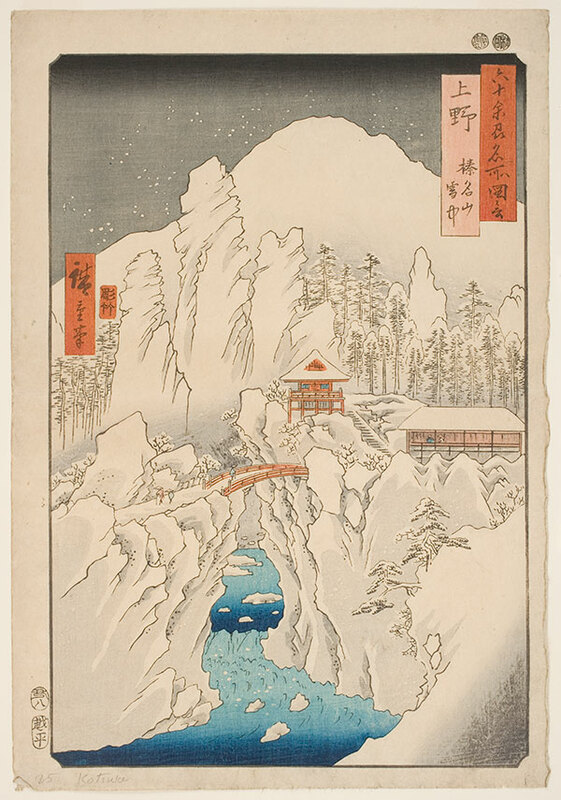 Though many of Hiroshige's scenes in the Famous Views of the Sixty-odd Provinces have become representative of actual important places, the artist did not create them on location but rather relied heavily on existing guidebooks. With the flourishing tourism industry of late Edo Japan, travel imagery abounded. This exhibition places Hiroshige's Famous Views of the Sixty-odd Provinces in dialogue with the exciting visual culture of travel in the late Edo period (1603–1868) and at the dawn of modern Japan. Art and artist questions explained in ninety seconds or less. How did Hiroshige influence Monet? 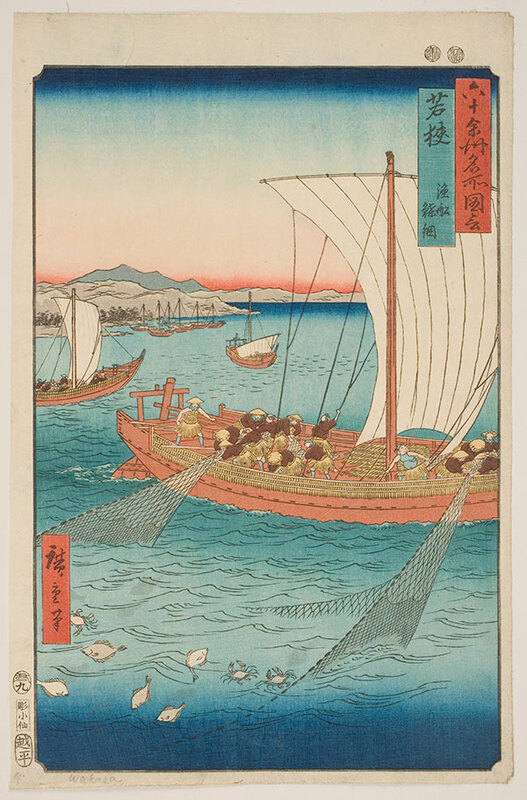 How did Hiroshige make his prints? 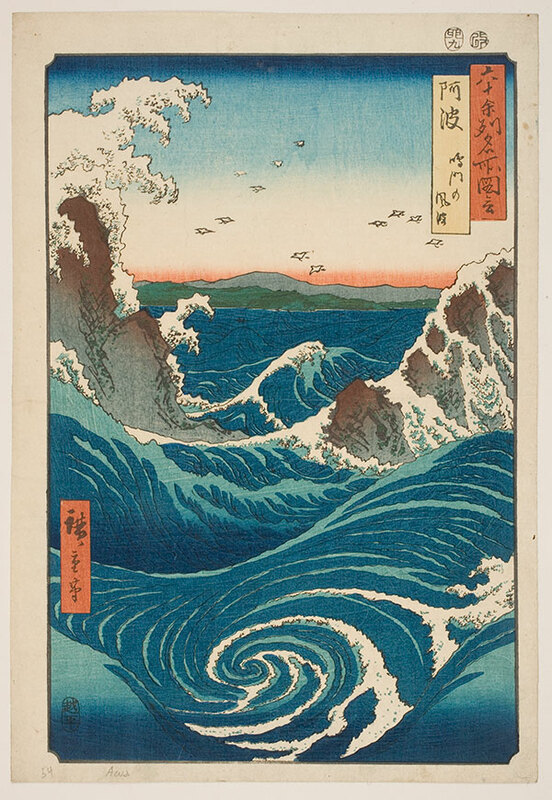 What makes Hiroshige's “Famous Views” famous? Master Series Third Thursday: Blending into the Woodwork. Independent curator Kit Brooks, PhD, discusses Hiroshige's work, Province of Mikawa: Rocks on the Hill of Horaiji. Hosted by the Worcester Art Museum's Members' Council and free with Museum admission.